The Isekai genre is still ripe with new ideas and premises, and In Another World With My Smartphone is a perfect example. Full of humor, trope subversion and twists on the beloved genre, the series is a great time for most any anime fan who enjoys seeing something different. It’s not the only series capable of providing this kind of experience though, and these seven shows are perfect if you’re looking for something similar. Subaru is a normal, everyday guy until one fateful day when he blinks and finds himself in another reality. Instead of panicking or trying to figure out why it happened though, he embraces this new opportunity and does his best to find his way in a new world full of mystical creatures, magic spells and all-powerful spirits. Or at least, he tries to before he’s quickly murdered and resurrected at the start of his journey, forced to relive all of his previous choices in order to find the correct way to make it through the day. 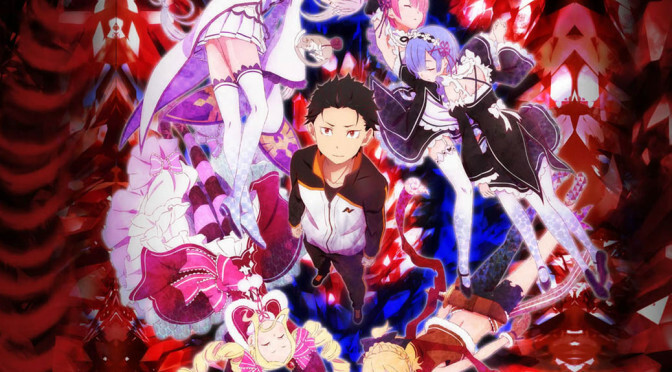 While it may take a darker turn than some other Isekai, Re:Zero is still a stellar example of the genre and throws in some cool concepts to keep things fresh. It’s also worth noting that only a small portion of the source material has been adapted so far, leaving plenty more to come once the next season is announced.